Where the TZ40 / ZS30 really differs from its rivals though is the implementations of various technologies. Amazingly it remains the only pocket super-zoom of its peer group to employ a touchscreen which genuinely enhances control and selective focusing. Of the models with GPS, the TZ40 / ZS30 is the only one with a built-in landmark database and mapping facilities. And moving onto Wifi, the TZ40 / ZS30 is the only one so far which additionally offers NFC for considerably easier setup with compatible devices. Admittedly these also make it the most expensive of its peer group, but we're only talking about 10% difference which at this price point is really only going to get you a memory card. The Panasonic Lumix TZ40, or ZS30 as it’s known in North America, is the latest version of the company’s hugely popular travel zoom camera. Announced in January 2013, it comes exactly one year after its predecessor, the best-selling TZ30 / ZS20, and like that model the TZ40 / ZS30 becomes the first of the new crop of pocket super-zooms to reach the market. The most important specification of any super-zoom is of course the optical range, and for the new TZ40 / ZS30 Panasonic has decided to stick with the same 20x zoom of last year’s model, equivalent to 24-480mm. Panasonic has however improved the image stabilization with a new five-axis correction system that claims to particularly benefit movie shooting. Inside there’s a new sensor with 18 Megapixels – four more than last year’s model, coupled with claims of improved noise reduction. The touch-screen resolution has been doubled from 460k to 920k dots, the built-in GPS enhanced with support for the Russian GLONASS system, and at long last there’s a play button to replace the switch on earlier models. The big new feature though is built-in Wifi with NFC. A free app allows you to wirelessly remote control the camera along with browsing and copying images with a compatible smartphone. You can alternatively upload to computers or direct from the camera to sharing and social services. Meanwhile NFC handles the initial Wifi negotiation on compatible devices with a simple tap. As before, there’s also a more affordable version, the TZ35 / ZS25, which shares the 20x zoom range, but lacks the Wifi, NFC and GPS, along with employing a lower resolution 16 Megapixel sensor and 460k screen. In my in-depth review I’ll test out all the features, new and old, and compare the TZ40 / ZS30 against its rivals from Canon, Sony and Panasonic itself to help you choose the best pocket super-zoom! The Lumix TZ40 / ZS30 is clearly based on the same shell as its predecessor with the core controls occupying the same positions as before. The official specifications describe the body as being 108x59x27.7 mm – that’s 3mm wider, 1mm taller and half a mm thinner, but most of this is down to cosmetic differences. Interestingly the rounded corners and slightly curved upper bulge of its predecessor have been replaced by a more angular style. It is of course a personal choice, but I think the newer model looks smarter. What’s not in doubt though is the slightly thicker grip, which allows a more secure hold – something that’s not to be under-estimated on a tiny camera which has a maximum telephoto equivalent of 480mm. In terms of weight, Panasonic quotes the TZ40/ ZS30 as being 198g with battery and card which is a few grams lighter than its predecessor, but in terms of overall pocketability, the new model is essentially the same as before. Last year Panasonic enjoyed the title of World’s smallest super-zoom camera with 20x optical range, but how does the new TZ40 / ZS30 compare to its latest 20x rivals? Canon’s PowerShot SX280 HS measures 107x63x32.6mm and weighs 233g including battery, so is noticeably taller, thicker and a little heavier too. But Sony’s trumped the competition this year with its Cyber-shot WX300 which measures 96x55x25.7mm, making it noticeably smaller in every dimension and lighter too at just 166g including battery. All three share similar 20x zoom ranges, along with 3in screens and built-in Wifi, although the Sony lacks a GPS. I’ll make more comparisons between these three models throughout the review. With the same shell you’d imagine the TZ40 / ZS30 would share the same battery as its predecessor, but instead of the earlier DMW-BCG10E, it’s now powered by the DMC-BCM13E, rated at 1250mAh. Under CIPA conditions, this is good for 300 images, up from the 260 of the TZ30 / ZS20, although if you’re using the GPS, Wifi, NFC or even simply filming lots of video, you should expect it to deplete in a matter of hours. I generally managed a full day of shooting while exploiting all the technologies, but I certainly needed to recharge it every night. Like its predecessor, you can charge the battery inside the camera via USB which is certainly handy for giving it a topup in the car or field if necessary. The camera comes with a USB cable and a mains adapter. The TZ40 / ZS30 shares essentially the same controls as its predecessor. On the top surface you’ll find a mode dial, a large shutter release button with a zoom collar, and two buttons for the power and to start and stop recording movies. Round the back is a four-way rocker pad offering direct access to exposure compensation, flash, macro and self-timer modes along with navigating the main menus and Q.Menu system. The rocker has a Menu / Set button in the middle and is surrounded by four buttons to enter the Q.Menu system, toggle display modes, adjust the exposure or activate the map, and enter playback. Finally in the top right corner is a button to fire-up the Wifi system and configuration menus. Regular Panasonic TZ / ZS watchers will however note there’s an important control difference here between the new and previous models beyond the inclusion of Wifi. After years of complaining about it, Panasonic has finally ditched the annoying Play / Record switch for a play button, and joy of joys, you can power-up the camera into playback simply by pressing and holding it. In this respect the TZ40 / ZS30 finally becomes like every other compact digital camera on the market, but it’s a big deal for people like me who often found themselves accidentally powering-up into playback and wondering why a half-press of the shutter release wasn’t bringing-up a live image. As if to further reinforce its decision, Panasonic has also swapped the power switch for an on/off button on the top surface. As before a small panel on the right side opens to reveal two ports: mini HDMI and a combined USB / AV port, although the only cable supplied is for USB. As mentioned above, the USB connection isn’t just for data, it’s also used to charge the camera. On the opposite side of the camera is small pad for the NFC connection. This stands for Near Field Communications and on the TZ40 / ZS30 can be used with compatible smartphones to negotiate the Wifi SSID selection and password entry process by simply tapping the two devices together. I’ll discuss this in detail later in the review. Underneath the camera is a tripod thread that’s central to the body but not in-line with the lens axis. As you’d expect the battery compartment is also home to the SD memory card slot and both will become blocked with the camera mounted on a tripod or plate. On the upside even if the compartment is blocked you can access images via a USB or wireless connection and charge the battery over USB too. Finally the built-in flash has a range of 0.6-6.4m with the lens zoomed-wide and 1-3.3m with the lens at its longest; these ranges are quoted for Auto ISO. The most important specification of any super-zoom camera is of course its optical range and for the TZ40 / ZS30, Panasonic has adopted the same 20x range first seen on last year’s TZ30 / ZS20. This shouldn’t come as a surprise as manufacturers often deploy optics across two generations before updating. This strategy can of course lead to a rival jumping ahead, but the gamble paid off for 2013 as both Sony and Canon have also kept the same 20x zooms as their 2012 models. So like its predecessor, the Lumix TZ40 / ZS30 sports an equivalent range of 24-480mm, allowing you to easily capture expansive views at one moment, before zooming-in to grab distant detail in the next. It’s a powerful and compelling range to have at your disposal in a pocketable camera. The closest focusing distance remains 3cm with the lens zoomed-out to the widest angle. You can see an example of the coverage below, and further examples of how you can use it in my TZ40 / ZS30 sample images gallery; note for scale, the boat you see in the second image is located towards the upper right side of the first image. Beyond their equivalent ranges, there are a couple of other differences in their optical specifications worth noting. The maximum aperture of the TZ40 / ZS30 is f3.3-6.4, making it fractionally brighter than the f3.5-6.5 of the Sony’s WX300 and the f3.5-6.8 of Canon’s SX280 HS / SX270 HS, although not enough to really make any practical difference. In terms of macro, the Panasonic enjoys a closer focusing distance of 3cm compared to 5cm for both the Canon and Sony – even with the slightly wider coverage, this allows the Panasonic to deliver slightly larger close-ups than its rivals, although at 3cm you’ll need to watch out for casting shadows. The TZ40 / ZS30’s lens extends upon power-up with the camera showing an image in just under two seconds, and responding to controls a fraction later – it’s not the quickest by any means, but rarely holds you back. A rocker around the shutter release operates the dual-speed zoom with about 45 steps between wide and telephoto, and little if any lurching between them. Push the rocker gently and the TZ40 / ZS30 will take about six seconds to zoom from full wide to tele, while a full push will do it in around three. Note to minimise the sound of the zoom motor while filming, there’s only one speed offered once you start recording and it takes six seconds or so to complete the full range; see more details in my movie mode section below. You can alternatively zoom the lens at either speed using touch-screen controls, or immediately go to the wide or telephoto extremes of the range. Like all Panasonic cameras, the Lumix TZ40 / ZS30 employs optical image stabilisation – that’s pretty essential on a compact with a minimal grip and a 480mm equivalent telephoto. 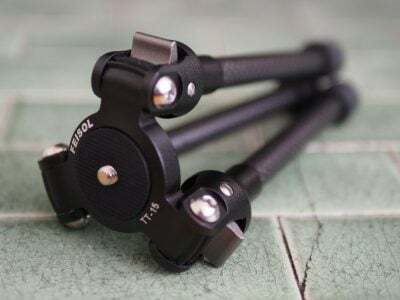 But new to this model over earlier ones is five-axis stabilisation which claims to better iron-out the shakes and wobbles, paricularly for video at longer focal lengths. In the PASM modes you can disable stabilisation for stills if desired, but in Intelligent Auto, it can switch between various modes depending on the detected activity and motion. When filming video in the normal modes, it’s always enabled, although in the slow motion video modes it’s disabled. Above are examples taken with and without stabilisation using the Lumix TZ40 / ZS30 fully zoomed-into its maximum equivalent of 480mm, and at a shutter speed of 1/30. Traditional photographic advice would recommend a shutter speed of at least 1/480 to eliminate camera shake, but the stabilised TZ40 / ZS30 allowed me to capture sharp handheld shots at 1/30 or even slightly below. In contrast under the same conditions I required 1/400 without stabilisation to achieve the same degree of sharpness; this corresponds to around four stops of compensation. It’s a pretty impressive capability, and makes the long telephoto reach of the camera perfectly usable for stills, although remember like all stabilisation systems it’ll only iron-out wobbles, not freeze a subject in motion. In my tests with the earlier TZ30 / ZS20 I found the stabilisation was very effective for general video, but often proved too much of a challenge when the lens was fully zoomed-in to 480mm equivalent. I found the stabilisation couldn’t quite counteract my own wobbles and resulted in an undesirable effect where the image shifted erratically sideways. This can also be a problem when panning sideways, when the stabilisation system has to differentiate between unwanted shake and intentional motion. In the end with the TZ30 / ZS20 I just ended up trying to minimise any panning or handheld filming with the camera zoomed all the way in, which was a bit of a shame. So with this in mind I was interested to see how the new five-axis stabilisation system on the TZ40 / ZS30 would cope. Here’s a video to show what I found. In the video above I held the TZ40 / ZS30 by hand and merrily panned from side to side, while also zooming through the entire optical range. After the TZ30 / ZS20 I expected the worst, but was delighted to find the newer model coping much better. Now this is just anecdotal evidence as I didn’t have the older TZ30 / ZS20 on hand to perform a side-by-side comparison, but during my time with the TZ40 / ZS30, I definitely experienced much less of the horizontal jitter which ultimately made the long zoom range more usable than before. The rear surface of the Lumix TZ40 / ZS30 is dominated by a 3in screen which like its predecessor is touch-sensitive, but I’m pleased to see Panasonic finally upgrading the panel to 920k dots over the 460k dots of earlier models. This allows the screen to display finer details than before and while it makes no difference to the recorded image quality, it’s no longer a specification which Sony can trump over its rival. 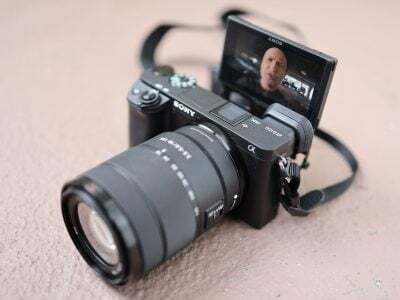 Indeed with the introduction of the cheaper Cyber-shot WX300, Sony’s opted for a 460k screen, and since Canon’s PowerShot SX270 / SX280 also share 460k screens, this is a specification Panasonic is leading with this year. As for touch-sensitive screens, Panasonic has arguably embraced this means of control more than any other camera manufacturer. The idea of tapping the screen to confirm settings or swiping through images during playback is something you’ll either enjoy or fail to see the point of; some may even find it less usable than traditional controls, but thankfully the TZ40 / ZS30 can still be fully operated by buttons if you prefer. Novelty aside, there are a number of genuine benefits to having a touch-screen on a camera. The most useful is without a doubt being able to tap on the subject you’d like the camera to focus on. If Face Detection is enabled you can tap on the person you’d like to have priority in a group shot, and if AF Tracking is enabled, you can tap on the subject you’d like the camera to track, both for stills and movies. Like its predecessor, the TZ40 / ZS30 additionally offers a Touch Shutter option which not only focuses on what you tap at, but takes a photo of it immediately afterwards. You have to be careful not to jab so hard that the camera is shaken, but it can be a fun and quick way of grabbing a shot, especially with the camera on a tripod. As before there’s also a touch-zoom option which allows you to adjust the lens focal length via the screen. An on-screen slider can be dragged up and down to zoom in or out at two different speeds, while a pair of icons will take you straight to the widest or longest setting with a single tap. Press the Menu button and you’re presented with large icons to tap-into the various sub-menus. Meanwhile during playback you can swipe the screen to scroll through photos, along with tapping buttons to zoom-in or out. Once zoomed-in, you can also drag the image around with your finger, and perhaps in an attempt to encourage the touch-interface, it does so much more quickly than scrolling with the traditional buttons. You can now also use the touch-screen to edit the GPS / landmark information by simply tapping on the desired area of the new on-screen map. So far so good, but it’s not a 100% consistent experience. If you decide tapping and dragging is for you, you’ll be disappointed to find it not extending to all areas of the TZ40 / ZS30’s operation. For example, the super-imposed Q.Menu remains entirely operated by buttons, and once you’ve tapped into the main menu system, you’ll also need to use the buttons to scroll through and select the options. Similarly while you can swipe through and pinch-zoom images during playback, you’ll still need to twist the zoom ring to see the thumbnail view even though you can then subsequently navigate the thumbnails with your finger. Arguably worst of all though, the text entry for Face Recognition, Landmark editing and Wifi passcode entry still isn’t touch-sensitive despite the on-screen keypad being redesigned with chunky fingertip-sized ‘buttons’; I complained about this on the previous models, so it’s doubly-disappointing to find the entry unchanged here. Throughout the TZ40 / ZS30’s operation there’s a continued reliance on traditional buttons and levers which had me gradually forgetting about the touch options altogether. Indeed after a while of non-use, it can come as some surprise when the AF area changes due to an inadvertent touch of the screen – and watch out for that too, as it’s easy for your right thumb to stray onto the screen and reset the focusing area to the side without you knowing. At this point it’s also worth mentioning the screens of the competition. As noted above, the Sony Cyber-shot WX300 and Canon PowerShot SX270 / SX280 all share the same sized 3in screens as the Panasonic TZ40 / ZS30, but with a lower 460k resolution compared to 920k on the Lumix. Sony and Canon still also see touchscreens as a specialist technology for certain models as opposed to Panasonic which I believe would deploy them on every model if it could. As such, the TZ40 / ZS30 is the only one of its main pocket super-zoom peer group to offer a touch-screen, and despite my reservations noted above, this really gives it a genuine advantage over the competition. Like previous Panasonic models, the TZ40 / ZS30 offers quick access to common shooting options via a drop-down menu that’s super-imposed along the top of the screen when you press the Q.Menu button. Pressing the left and right buttons highlight particular headings, after which you use the up and down buttons to select the desired option from a drop-down list. Depending on the shooting mode, this allows you to quickly and easily adjust aspects like the GPS mode, image resolution, sensitivity, white balance, AF and burst modes, movie quality and LCD mode. Note as mentioned above, this interface is entirely operated by buttons rather than the touch-screen. While shooting, the Display button switches between four views: a clean view of the image, one with detailed shooting information, followed by a clean view and detailed info options again but this time with a virtual horizon displayed. A choice of alignment grids and or a live histogram can also be enabled in the Setup menus if desired. As mentioned earlier it’s now easier to enter playback by simply pressing the new play button – you can also power the camera up into playback by pressing and holding this button. During playback, the DISP button cycles between a clean view and three other views with either GPS landmark details from the built-in database, detailed shooting information, or in a welcome upgrade over its predecessor actual GPS co-ordinates. If the histogram has been enabled in the menus, you’ll also see it during playback. Annoyingly unlike Canon’s compacts, the TZ40 / ZS30 still doesn’t employ its orientation sensors to automatically rotate portrait images to fill the screen when the camera’s turned to the side during playback. If you’re browsing images over Wifi on a tablet or phone though, the image will rotate with the device, allowing you to maximise the screen area for portrait and landscape images. Like its predecessor, the Lumix TZ40 / ZS30 offers a wealth of shooting options via the main mode dial and a selection of on-screen sub-menus. Impressively, these include full manual control over exposures. While manual exposure control on a compact lacks the impact of a DSLR or mirrorless system camera (at least when it comes to depth-of-field anyway), it can be useful in other areas which I’ll discuss in a moment. The TZ40 / ZS30 inherits most of its predecessor’s mode dial options, including Intelligent Auto, Program, Manual, Aperture and Shutter Priority, along with Creative Control, SCN and two custom modes. The 3D mode which previously enjoyed its own position on the mode dial has sensibly been relocated to within the SCN presets and in its place on the dial is the far more useful Panorama mode. You’ll note there’s still no Movie mode on the dial, because like its predecessor you can start recording in any mode at any time by simply pressing the dedicated record button on the top. There’s the choice of nine aperture values (when zoomed-out) and you still have the ability to adjust them in Aperture Priority or Manual modes. Switch to Shutter Priority or Manual and you can choose from exposures between 1/2000 and 4 seconds, sadly down from the 8 and 15 seconds offered by the TZ30 / ZS20 in Shutter Priority and Manual respectively, not to mention down from the 60 seconds of the TZ20 / ZS10. The longest exposures you’ll squeeze out of the TZ40 / ZS30 are in the Starry Sky scene preset which can select 8 or 15 seconds. To make changes to the aperture or shutter, just press the Exposure / Map button on the back of the camera, and then use the cross-keys to adjust the setting highlighted in yellow at the bottom of the screen; there’s no touch-control over exposure. As before you can apply +/-2EV exposure compensation or bracket three exposures up to 1EV apart; there’s also an HDR scene preset I’ll describe later. Like most compacts though, there are caveats involving the usefulness of manual exposure control. Most notably, the inherently large depth-of-field in most compacts, including this one, means it’s hard to achieve a blurred background on portraits even with the aperture wide open. Your best bet is to zoom all the way-in, position the subject close and the background as far away as possible. Macro shots allow a shallower depth-of-field, but neither these nor portraits will come close to the blurred background effect you can enjoy with a DSLR or a mirrorless CSC camera. To illustrate the depth-of-field control of the Lumix TZ40 / ZS30 in a macro environment, I photographed a still-life arrangement in a cafe and focused on the shutter release of the camera in the bottom left corner; this was positioned around 5cm from the camera, with the lens set to its widest focal length of 4.3mm (24mm equivalent). I chose to shoot this composition with the lens zoomed-out in order to access the maximum range of apertures from f3.3 to 8. As you can see below, the shot on the left has a slightly shallower depth-of-field than the one on the right: the menu on the table is a little blurrier, but it’s a relatively subtle effect. You really need to view both images at or close to 100% to see much difference in depth-of-field. I tried several other compositions at a variety of focal lengths and distances in an attempt to maximise the depth-of-field effect, but the example below remained the most effective. The bottom line is while the minor change in depth-of-field does indeed confirm the presence of a physical iris, it ultimately has minimal impact on the visible depth-of-field in practice. A handful of specialist compacts sporting f2 apertures or faster enjoy greater control over depth-of-field, but again it’s nowhere near the blurring effect that’s possible on a camera with a bigger sensor. For the maximum background blurring on the TZ40 / ZS30 you’ll either need to get as close as possible to your subject in macro, or zoom the lens all the way to 480mm and in both cases try and keep the background as far away as possible. On a more positive note though, Aperture Priority does allow you to select the optimum f-number to avoid diffraction, which in my tests was with the aperture wide open or closed by one stop. Shutter Priority also lets you choose deliberately slower-than-normal exposures to blur moving action, such as waterfalls or racing vehicles. You can find out how to achieve these effects in my Blurring Action and Photographing Water tutorials. Meanwhile, full Manual lets you choose combinations of aperture and shutter which go way beyond normal metering or compensation ranges, allowing you to achieve massive under or over-exposures. You can also choose very long exposures with ease. So while the presence of Aperture Priority doesn’t guarantee portraits with blurred backgrounds, the provision of manual exposure controls remains a useful feature. Intelligent Auto on the Lumix TZ40 / ZS30 combines Panasonic’s latest technologies to deliver a pretty foolproof experience. Like earlier models, these include Intelligent ISO and Scene Detection which both do a good job of figuring out what you’re trying to take and whether the subject’s in motion. In practice this works very well, with the camera automatically recognising and switching between portraits, landscapes, close-ups, night scenes (with or without people) and sunsets. If Face Recognition is enabled and spots a previously registered under-three year old, it’ll switch to Baby mode, and if a night scene is recognised without a tripod, the camera can opt for the Handheld Night Shot mode, more of which in a moment. The camera’s also good at detecting motion and increasing the sensitivity if necessary to maintain a quick shutter to avoid blurring – great when photographing unpredictable children, although obviously the quality reduces quickly at higher ISOs. Turning the dial to SCN lets you choose from 19 Scene Presets (one more than the TZ30 / ZS20) which include Handheld Night Shot, HDR and High Speed Video modes; note the Panorama scene preset from the TZ30 / ZS20 has now been promoted to the mode dial and the 3D mode demoted into the preset menu, a sensible swap in my opinion. Unlike the High Dynamic mode in the Creative Control section (see below), the HDR mode actually takes three different exposures and combines them into one. You can see an example below, where it’s clear the version with HDR has boosted detail in the dark shadow areas in the roofing and retrieved a little blown highlight detail in the backlit window. I’m glad Panasonic has equipped the TZ40 / ZS30 with a proper multi-frame composite HDR mode rather than the simulated version of earlier models – although again that’s still available in the Creative Control mode if desired, see below. The TZ40 / ZS30 inherits the panorama mode first introduced on the TZ30 / ZS20, but as mentioned above, sensibly places it on the mode dial for quicker access than before. This works similarly to the sweep panorama option on Sony’s Cyber-shot cameras, capturing a series of images in a burst as you pan the camera across the scene in an arc, after which the camera automatically stitches them together for you. Again like Sony you can choose from panning with the camera held horizontally or vertically, but unlike Sony the TZ40 / ZS30 seems happy to capture a full 360 degree panorama (or even slightly more) if you’re able to keep turning it during the four second capture process – during which time it has to be said everybody around you will be staring. The maximum image size is 8000×1080 pixels in landscape mode or 1440×8000 in portrait mode, so the total resolutions of around 8 and 11.5 Megapixels aren’t going to win any detail contests. Depending on how much you wobble, the camera may need to crop some of that down to an even smaller image. For example in my tests I typically captured images measuring 6000×864 in landscape and 1104×4440 in portrait. So you won’t even come close to matching the same resolution as a single frame shot in one of the normal modes, but the Panorama preset will give you massive coverage which may be preferred depending on the subject. New to the TZ40 / ZS30 is the ability to apply some Creative Filter effects. Here’s a couple of examples. Like its predecessor, the TZ40 / ZS30 offers a Handheld Night Shot mode which captures a burst of images before automatically combining them into a single image in an attempt to reduce noise or camera shake. It’s potentially one of the most useful modes on the camera, but still hidden away within the Scene presets, but at least Intelligent Auto mode can deploy it. Like Sony’s Handheld Twilight mode, it operates completely automatically with no control over exposure or sensitivity. Unlike Sony’s system though, it appears to capture more frames in a burst: Panasonic doesn’t supply details, but by analysing a sound recording, I heard ten frames being captured, compared to six on Sony’s Handheld Twlight, and four on Canon’s own Handheld Night Scene version. Here’s one example of the mode in practice, compared to the same composition taken moments later in Program mode. You can find out more on my Panasonic TZ40 / ZS30 Handheld Night Shot page. The TZ40 / ZS30 also inherits its predecessor’s 3D capture mode, although has relocated it from the mode dial to the scene presets. Traditionally a 3D capture would require twin lenses, but inspired no doubt by Sony, Panasonic has developed a means by which a single lens can generate a 3D image. Like Sony it achieves this by analysing a burst of images taken while moving the camera, and using parallax changes to generate depth information. Two files are subsequently recorded: a conventional 2 dimensional JPEG for normal viewing, and an MPO file which contains the depth information and typically measures around 2MB. When connected to an ‘MPO-compatible’ 3DTV over an HDMI connection, both files are interpreted into a single 3D image; all commercial 3DTVs we’ve seen are MPO compatible. Unlike commercially produced 3D content though, the images produced by Sony and Panasonic’s single lens cameras only contain depth which extends ‘behind’ the screen, rather than in front of it. While both cameras take a burst of images during the motion, Panasonic only takes the two most appropriate to generate a 3D image. The Lumix TZ40 / ZS30 can also only generate 3D images measuring 1920×1080 pixels (Full HD 1080), whereas the Sony models additionally offer wider panoramas which slide across the screen during playback. In use, it’s hard not to pan the TZ40 / ZS30 in an arc rather than sliding it horizontally as requested by the manual, but both approaches will generate a 3D image. When viewed on a 3D TV, you can peer around objects to a certain extent and there’s certainly a convincing impression of depth conveyed – although again it only extended behind the screen, not in front of it. Like its predecessor, the TZ40 / ZS30 collects a selection of special effects into the Creative Control position on the dial, indicated by a painter’s palette, although now adds more options to choose from. You now have the choice of Expressive, Retro, High Key, Low Key, Sepia, Dynamic Mono, Impressive Art, High Dynamic, Cross process, Toy, Miniature, Soft Focus and Star Filter. Here’s a selection showing some of the Creative Controls in practice. You can also apply Creative Control effects to movies by simply pressing the red record button. This includes the Miniature effect, although as with other cameras, processing overheads mean you’ll only capture a few frames per second. This does however have the visual benefit of accelerating motion when played-back at normal frame rates. Here’s an example below where the action is effectively reduced by eight times. Finally, the Lumix TZ40 / ZS30 inherits the Intelligent Resolution (IR) capabilities of its predecessor, which apply greater sharpening to images, and if i.ZOOM is also enabled, allow the camera to digitally extend its zoom from 20x to 40x. To put this to the test, I photographed the same scene fully zoomed-in first with the normal settings, followed by Intelligent Resolution, then with i.ZOOM extending the range to ’40x’. Uncropped image, 20x, 480mm equivalent Uncropped image, 40x, 960mm equivalent. Above left is an image taken at the maximum 20x zoom with IR disabled, while above right shows the image taken at the maximum zoom with IR and i.ZOOM enabled, working at an equivalent of 40x. When viewed at the reduced size above, the latter certainly delivers a large boost to the effective magnification, but how does it look at 100%? To find out I took three sets of crops with IR disabled, IR enabled, and both IR and i.ZOOM enabled. Judging from the crops above, Intelligent Resolution in the centre column applies sharpening to give a crisper edge to subjects, and is sometimes more pleasing to look at, although there certainly isn’t any additional detail. Meanwhile as you can see in the far right column, applying i.ZOOM may effectively boost the zoom range to 40x but the results sure ain’t pretty. In fact there doesn’t appear to be any greater detail there, just a scaled-up image. So while Intelligent Resolution can crispen-up your images, I’d treat i.ZOOM with caution as it seems no different from a normal digital zoom in my tests above. The Lumix TZ40 / ZS30 is equipped with the same five main AF modes as its predecessor which can be manually selected in the PASM modes, or left to the camera to choose from in auto. First is Face Detection, which can detect and track human faces. This now works alongside Face Recognition, which can memorise up to six people (using one to three poses) along with their names and birthdays if desired. Once registered, these faces can have focusing priority over ‘strangers’, and it’s also fun to see their name popup under the tracking frame, although unforgiveable that the phone keypad style of text entry for names still isn’t touch-sensitive. If the subject’s age is less than three years old, the camera will also automatically switch to its Baby scene preset in auto modes. In practice it really works too, and is fairly tolerant of accessories like hats, although sunglasses can fool the system. The touch-screen also allows you to simply tap on the face you’d like to give priority. The second AF mode is AF Tracking, which is essentially like face detection for non-human subjects. This allows you to place a target over a subject, after which the TZ40 / ZS30 will track it across the frame and adjust its focus as required. Again, it’s possible to tap on the desired subject using the touch-screen. Next up comes the standard 23-area AF system, which the TZ40 / ZS30 defaults to in the absence of recognisable faces in the auto modes. The fourth AF mode is single-area, which as its name suggests, just uses one area for quicker response. Gratifyingly you can use the touch-screen to reposition this area almost anywhere on the image, although watch out for your thumb straying onto the edge of the screen and doing this by mistake. The fifth option is spot focusing, which works the same way as single-area, but unsurprisingly with a much smaller square; again this can be repositioned by tapping on the desired part of the image. The ability to set face or tracking options by touch, or simply to tap on the desired area to focus, is a killer aspect of the touch-screen. It gives the Lumix TZ40 / ZS30 a key advantage over its rival with traditional non-touch screens. The focusing speed is pretty snappy too: the TZ40 / ZS30 manages to snap-onto most subjects in about half a second, or even less in ideal conditions; indeed you’ll often hear the double-beep confirmation pretty much as you half-press the shutter release. The camera also has a decent stab at continuous auto-focusing while filming movies and you can see some examples lower on this page. The big new feature on the Lumix TZ40 / ZS30 is support for Wifi and NFC; indeed it’s one of the first cameras from any manufacturer to feature NFC, more about which in a moment. Wifi allows the TZ40 / ZS30 to wirelessly browse its images on a bigger screen, copy them to computers or smartphones, upload them to online storage or social media services (either directly or via a smartphone), or become remote-controlled by a free app for iOS or Android devices. It’s a very flexible and powerful feature to have at your disposal. One of the big problems with Wifi on cameras so far though is establishing the initial connection. You first need to select the appropriate SSID of the access point, then laboriously enter any security code via a screen and keypad which weren’t designed for text entry. It’s not impossible by any means, but definitely can be frustrating. NFC attempts to make the process much simpler. Standing for Near Field Communication, it’d designed to transfer data quickly with a brief close-range touch – it’s the technology employed by many mass transit systems including Oyster on London’s tubes and buses. In the case of the TZ40 / ZS30, NFC allows the Wifi SSID and password to be sorted-out between compatible devices by simply tapping them together. At the end of the day it’s still vanilla Wifi that’ll send the image or video data, but NFC makes the initial negotiation and connection much simpler. NFC-equipped devices are still in their infancy, but we’ve already seen TVs and home theater systems using it to stream content from cameras and phones. Similarly it can be used to establish a connection with a suitably-equipped printer. The Lumix TZ40 / ZS30 already has options to talk to wireless TVs and printers, but in this section I’m going to concentrate on connecting it to smartphones and tablets. At the time of writing, only a handful of smartphones and tablets were equipped with NFC, most famously including the Google NEXUS 4, 7 and 10, and Samsung Galaxy S3 and S4, but sadly not yet any iOS devices. As luck would have it, I own both a Galaxy S3 and a NEXUS 7 so I can tell you exactly how the NFC experience works in practice with the TZ40 / ZS30. If you don’t have an NFC device yet though, don’t worry. You can achieve the same end result by manually choosing a Wifi network and entering any security by hand, it’s just that NFC will do that part for you with a simple tap or two. Indeed I did it with an iPad so I can share that experience too! Okay so let’s start with establishing a connection between the camera and a smartphone or tablet. NFC or not, the first thing you’ll need to do is install the free Lumix Image app, available for iOS or Android devices. Next you’ll need to enable Wifi on your phone or tablet and if you’re intending to use NFC, you’ll also need to enable this on both the phone / tablet and the camera. If your phone / tablet doesn’t have NFC you’ll now need to press the Wifi button on the back of the camera and choose whether you want to remote control or transfer images. You can then choose whether to connect via an access point, or directly in which case the camera becomes the access point, broadcasting an SSID. You’ll need to select this SSID in the Wifi section of your phone or tablet, then enter the password provided by the camera. If your phone or tablet has NFC you should start the Lumix Image app then briefly hold the two devices next to each other. For security, NFC has a very short range, so you’ll need to ensure the NFC chips on both devices are literally right next to each other for the initial negotiation. The location of the NFC chip is clearly marked by a small bulge on the left side of the TZ40 / ZS30 as you hold it, but it may not be as obvious on your handset. On the NEXUS 7 it’s actually hidden behind the large NEXUS logo on the back, but on the Galaxy S3 it’s hidden to one side, but all you need to do is brush the camera’s NFC sensor over the other device and when it finds it, it’ll let you know. A message will appear on both the camera and phone or tablet asking you to tap again to confirm the connection, and that’s it. I should note my Galaxy S3 and NEXUS 7 played a triumphant but somewhat loud sound when it connected via NFC regardless of their volume setting – quite alarming in quiet situations. The NFC negotiation process takes about 15 to 20 seconds to complete, but the devices only need to be in close contact for the initial handshake which takes about a second. You may be twiddling your thumbs during the negotiation, but it’s still quicker and much easier than manually searching for and selecting the right Wifi network and entering any security. Once your phone or tablet becomes connected to the TZ40 / ZS30, you can remote control it, browse the images direct from the memory card, copy them onto the handset and if desired send them onto various storage or sharing services. You can even have the camera automatically send images to your phone, tablet or computer as you take them. The remote control feature is really neat, showing a live image on your phone or tablet’s screen and allowing you to take a photo or start or stop a video. You can also operate the motorized zoom with an on-screen slider and tap anywhere on the live image to set the focus to that area. If the camera’s mode dial is set to Aperture or Shutter Priority, you can also remotely adjust the aperture or shutter speed respectively, and in Manual you can change both. You can’t change the exposure mode remotely though, nor change anything else like the ISO, white balance or quality. But it remains a fun and useful remote control. I used it to take photos with the camera in another room, or even remote control the camera while it was outside in a garden pointing at a birdhouse. I also used it to operate the zoom during a video without touching the camera and potentially wobbling it. You can see an example of this below. In the video above I mounted the TZ40 / ZS30 on a tripod and wirelessly connected to it using a Samsung Galaxy S3 over Wifi, using NFC to establish the link. I could then start and stop the video, along with zooming the lens back and forth all from the screen of my smartphone without having to touch and potentially wobble the camera itself. This technique reveals how the image shifts a little sideways as the camera zooms through its optical range. Previously I could never be sure whether I was responsible for any wobbling simply by operating the zoom control by hand. Alternatively if you’re browsing your images on the camera and you see one you’d like to share, just tap the camera against your NFC phone or tablet and it will automatically establish a temporary network and copy the original over; the entire process takes about 20 seconds. This is a brilliant feature and makes it easy to share or store your images. It’s so much fun interacting with the camera using a smartphone or tablet that it’s easy to forget the TZ40 / ZS30 can also upload images directly to the internet by itself via a suitable Wifi connection. You can upload directly to Facebook, Twitter, Picasa, Youtube, Flickr, but there’s two gotchas. The first is the camera doesn’t have any kind of built-in browser to accept the terms and conditions of many public hotspots, so you’ll mostly be using home or office-based Wifi. To be fair though, the only Wifi-equipped cameras I can think of which do have a browser to accept terms and conditions are Sony’s NEX 5R and NEX 6. The second problem is before letting you upload anything directly from the camera you’ll first need to register for Panasonic’s free Lumix Club. Again this is an approach shared by other manufacturers, although unlike many, your images aren’t actually sent via this service. So if the images are going direct, why do you need to sign-up to Lumix Club at all? Well on the upside it does offer you some cloud storage, albeit temporary, deleting your images 30 days after uploading them. But on the downside when you’re using Lumix Club to authorize the use of, say, Facebook or Twitter on your camera, it’ll also ask you to let it view your contacts and post on your behalf. You can untick the posting permissions on Facebook, but not for Twitter. Now this may be the perfectly innocent process of an app doing something helpful in the background, or it could be something more advertiser or commercial driven. Either way, when it’s technically possible to upload direct from the camera without any third party apps or services, I’d prefer not to have to sign up for or agree to anything thankyou very much. But for you dear reader, I accepted the conditions and did a couple of quick tests. It took 3 minutes and 53 seconds over a home broadband connection to send an original 18 Megapixel image to Facebook direct from camera. The default settings remove any GPS location data, but you can include it if desired. You can also change the image size from original, medium (3MP), small (0.3MP VGA) or Auto. To send a medium 3MP version of photo took 52 seconds. Once uploaded, the images waited in a private Lumixclub album to be shared with a description. Since this requires you to have access to a computer, tablet or phone, it makes more sense to just use NFC / Wifi to copy the image from the camera to that device first and upload from there. The process is faster and avoids having to go accept Lumix Club’s privacy settings. Overall I was very fond of the Wifi / NFC capabilities of the Lumix TZ40 / ZS30. I enjoyed browsing through a day’s shoot on the larger screen of a tablet and once connected it was a doddle to select original images to copy over for closer examination or sharing. The remote control facility was also fun and genuinely useful, although the range could vary significantly depending on surroundings and interference. NFC really is the TZ40 / ZS30’s trump card though and once you’ve used it to establish a connection you’ll never want to search for a Wifi network or enter security ever again. It really gives the TZ40 / ZS30 a compelling edge over rivals. When I bought my Galaxy S3 and NEXUS 7 in 2012, NFC was a feature I didn’t give a second thought to, but now it’s become a must-have and I really hope Apple equip the next generation of iOS devices with it. At least Panasonic and Samsung are really driving it forward and we can look forward to many more NFC-equipped devices this year. My only bugbear with the NFC implementation on the TZ40 / ZS30 is that it’s not quite a single step process. In my tests you always needed to launch the Lumix Image app on your phone or tablet before tapping it against the camera. If you tapped before launching the app, the phone or tablet would attempt to connect to a Panasonic website instead with information about the app. Maybe I’m being lazy but I’d like the NFC negotiation to automatically launch the required app on my device. I’m sure it’s just an association which needs to be set, and to be fair it may have also been the fault of an early NFC implementation on my test camera, but it’s just so tantalizingly close to being a single-step operation. I should also add that often I needed to tap the devices together two or three times before the negotiation would start. If Panasonic manage to fix this and also let us upload direct from the camera without giving away our privacy via the unnecessary Lumix Club, then I’ll be delighted. As it stands though I’m still very happy and as the owner of NFC-equipped devices it would certainly drive me towards the TZ40 / ZS30 and away from rival models. The Lumix TZ40 / ZS30 inherits the built-in GPS receiver of its predecessor, which allows it to record location and time details for each image and store them in the standard EXIF header. These can then be cross-referenced by a built-in database of landmarks to display location information or your location on-screen using a basic map; you can of course also use the location details to plot your position on mapping software on your computer later. New to the TZ40 / ZS30 beyond an updated landmark database is GPS-logging, an on-screen compass showing the direction the camera is pointing (with 16 positions), and additional support for the Russian GLONASS (Global Navigation Satellite System). GLONASS works in a similar way to the GPS system, but having support for both GPS and GLONASS increases your chance of ‘seeing’ enough satellites for an accurate position. This won’t make much difference in wide open spaces, but definitely helps when there’s obstructions to the sky such as buildings in a city. I used the TZ40 / ZS30 in various cities in the UK along with Vienna in Austria and can confirm it definitely acquired a position in situations where the TZ30 / ZS20 could struggle. Before you think it may out-perform your smartphone though, note that many ‘GPS’ chipsets in phones these days also support GLONASS. Neither Sony nor Canon explicity mention support for GLONASS on their 2013 pocket super-zooms, but that’s not to say it isn’t there, so I’ll compare their accuracy in urban environments once they become available. In the meantime, GLONASS or not, Panasonic continues to offer a more unique GPS experience than its rivals thanks to the inclusion of a landmark database and map. Like its predecessor, you can load maps for anywhere in the world from the supplied DVD onto your SD card and view your current position or plot photos by location. I’ll describe these new capabilities in a moment, but first I’ll start with the landmark database. Since the experience, beyond improved positional accuracy, is almost identical to the TZ30 / ZS20 I’ll base the following section on my previous report. Once the Lumix TZ40 / ZS30 has locked onto the GPS signal, it can cross-reference the co-ordinates against its internal location database to display the name of the Country, State and City on-screen. The camera’s database also features over one million landmarks spread across 73 countries, including museums, churches, stations, airports, temples, sports grounds and tourist locations, which are also displayed if desired. You can choose how much or little area information is displayed from the database, although purists may be disappointed they’ll still have to delve into the GPS menus to actually view raw co-ordinates and satellite details; in a small improvement over the the TZ30 / ZS20 though, you can now toggle between landmark description and the actual co-ordinates during playback. There’s more than one way to implement GPS on a camera, but if you’ve used a receiver before, you’ll probably have two major concerns about implementing it in a camera: first is the time taken to acquire a location after powering-up (after all, you’re unlikely to wait for a couple of minutes before taking a shot just for the co-ordinates to appear), and second is the impact the receiver will have on battery life. Panasonic has given this a great deal of thought and like the TZ30 / ZS20 offers two main GPS modes: ON and OFF, alongside INFO which simply displays the latest co-ordinates. The ON mode attempts to address the issue of slow acquisition times by actually running most of the time, even when the camera is switched off. When the camera’s switched on, it’ll perform positioning every five minutes. But when you switch the camera off, it’ll continue to check its position every 15 minutes; you know when this is happening because a small light on the top surface illuminates when the GPS is actively searching. This approach means the camera stands a good chance of knowing where it is when you switch it on to take a photo, and in practice I found it generally took between five and 20 seconds to confirm its new position after powering-up. In the meantime, the previous confirmed position is displayed. Of course this ‘always-on’ approach raises concerns over battery consumption, but the TZ40 / ZS30 is intelligent enough to stop the search under a number of conditions. If positioning has not been successful for two hours after power-off, it’ll give up. Likewise if the camera’s not been switched on for three hours, it’ll stop the search. And if the battery indicator falls to one bar, it’ll automatically stop searching to prevent itself from running down. If you’d prefer the camera only searched for its position when it was switched on (to save power or avoid interference in planes), you can enable Airplane mode in a separate menu. The plus-side is knowing exactly when the GPS is operating, but the downside is taking anything up to a few minutes to re-acquire your position from cold. Meanwhile the GPS OFF option really does turn it off altogether. For quicker searching you can also download GPS Assist data via a utility on your computer which contains updated positions of the satellites. For best results, you’ll need to update this process every month. Despite initial concerns over the default GPS option, it once again became my preferred choice when using the TZ40 / ZS30. If you’re regularly taking photos throughout the day, the TZ40 / ZS30 will typically find and display its location in no more than ten seconds (or 20 at a push), even if the camera’s been in a pocket or car. If you’ve not moved much at all, the signal could re-acquire in less than five seconds. When powered-up, you’ll see a touch-icon halfway up the right side of the screen, and tapping it allows you to reposition or manually specify an area. To its side is a satellite icon with three bars underneath indicating progress on the searching process. Meanwhile, the GPS touch-button reads 5, 60, or 120, indicating the number of minutes since the last confirmed location; if the camera displays 120- it’s been over two hours since acquisition. During the re-acquisition process the camera displays the last known location, which can look a little odd if you’ve significantly moved-on since then, so unless you’re going to miss a spontaneous opportunity, it’s worth waiting for the signal to lock-on. Continuing to search while the main camera is switched-off is just one of the aspects which makes Panasonic’s GPS implementation different from its rivals. Another is the cross-referencing of co-ordinates against an internal database to display a place name. This region and landmark information may sound like a novelty, but it’s great fun to see places named on-screen, not to mention being useful. Even in familiar places the camera can teach you a thing or two about local landmarks, such as the official names of churches or a sports club you weren’t aware of – and while Panasonic hasn’t provided any specifics on the depth of landmarks beyond the previous model, I certainly noticed some new names coming-up while photographing around the same areas as before. Of course a system which displays landmark names by location can be tripped-up by overlap or simply covering a large area. As such, you may need to move around a park, zoo or golf course before its name is revealed, while anything close to a known landmark will often display its name instead. For example, before revealing the name of a local golf course I had to drive through the greens to the actual clubhouse, while photos taken in a bar near to a church displayed the church’s name. In another example, a church I confirmed was in the database from earlier photos was later mis-identified as an information centre. The TZ40 / ZS30 does however offer several options to edit the landmark information in playback. You can choose from a list of possible ‘candidate’ landmarks suggested from a list. If the actual co-ordinates weren’t quite right (perhaps due to the camera having insufficient time to lock-on), you can edit them by simply going to the new map view and dragging it over crosshairs in the middle. More on the mapping in a moment. In other cases where the landmark doesn’t exist in the database at all, you can create a new name for it using manual text entry. I did this for the bar which was mistakenly displaying the name of a nearby cinema instead – see below. This process is the same as the TZ40 / ZS30 before it, although unforgivably the large mobile phone style keypad for text-entry remains not touch-sensitive. C’mon Panasonic, as the King of touch-screens you’d think you’d have resolved this. Instead in a bizarre decision, you can only enter characters using the rocker control. This is the same as the text entry for names in Face Recognition mode or Wifi passcodes. Ultimately it’s important not to worry too much about the displayed place names though as they’re not actually recorded in the image files. The TZ40 / ZS30 is simply matching the reported GPS co-ordinates with a database of names during capture or playback, and while the result may not always match-up or show what you were expecting, you still have the raw GPS time and location details to work with later. Like its predecessor, and maintaining a step-ahead of rivals, are actual mapping capabilities built right into the camera. These can display your current location on a map, and of course plot the positions of the photos you’ve taken too. The maps are provided at a scale of 1:25,000 courtesy of NAVTEQ, although don’t expect similar detail to a dedicated paper or digital map at the same scale. The TZ40 / ZS30 maps consist of basic country, lake and river outlines with stick roads, but no contours, paths or icons to speak of. Various towns, streets and landmarks are labelled, but not all of them, so don’t rely on it to tell you the same of the street you’re on or near. But even basic street-level mapping on a global scale is pretty memory-intensive, so it’s not surprising to find the maps are not built into the camera’s internal memory. Instead they’re loaded as separate regions via a supplied DVD and utility onto spare space on your memory card. The complete global installation will consume 6.37GB, but you can choose to only load the regions you want, and you can remove or supplement them later. The separate regions and their map sizes are: Japan (731MB), South and Southeast Asia (317MB), Oceania (259MB), North and Central America (1.88GB), South America (237MB), Northern Europe (2.62GB), Eastern Europe (1.29GB), Western Europe (2.47GB), West Asia and Africa (277MB) and Russia and North Asia (1.51GB). Storing the maps on the card is necessary due to their size, but it does make them dependant on the actual card itself. Switch to another card and you’ll lose the maps – unless of course you had the foresight to load them onto multiple cards. Format your card as a lazy way to delete all the images and movies and you’ll wipe the maps too. So if you’re likely to fill more than a card’s worth of photos on a trip and want to keep the mapping data available, I’d recommend bringing a laptop (with an optical drive) with you – at least you should also be able to use it to charge the camera. You’ll also need to keep the DVD handy as the utility loads the maps direct from the disc. In use I found the maps fun, but their basic graphics are certainly no replacement for more conventional or detailed mapping solutions. But like the landmarks, it’s all free of charge and beyond what the competition offers. You’re still getting GPS data embedded into your images which you can use for ‘proper’ mapping later, and as you’ll see from my sample images gallery, the location data could also be imported by Flickr. As for battery life, GPS has an inevitable impact. If it’s on and you’re taking photos all day, then expect to recharge every evening. If you’re unable to recharge daily during days with lots of photos, then I’d recommend disabling GPS and where possible also carrying a spare. At least the TZ40 / ZS30 can be charged over USB, giving you greater flexibility while out and about – so long as you remember the cable of course. Ultimately it’s also important to remember if all you want are co-ordinates embedded in your images, you can achieve this by using a separate handheld GPS with geo-tagging software later, but again the TZ40 / ZS30 has the benefit of doing it all in-camera, with the bonus of displaying place-names and basic mapping. It’s convenient and great fun, and thanks to the additional support of GLONASS, more accurate in built-up areas. The Lumix TZ40 / ZS30 inherits most of the movie modes of its predecessor, along with adding a couple of nice upgrades. This means the core movie capabilities capture 1080p at 50p or 60p depending on region, and at a high rate of 28Mbit/s too. Like the TZ30 / ZS20 before it, audio is recorded in stereo from built-in microphones, and you can also zoom the lens while filming. As before you can start filming in any mode by simply pressing the red record button and you can also capture still photos while filming, albeit only in the 16:9 aspect ratio but now in a much higher resolution of 13.5 Megapixels versus 3.5 on the older model – but watch out as pressing the shutter release to take a photo while filming will cause the camera to refocus. While you can start recording in, say, Aperture Priority or Manual, don’t get too excited as exposures are fully automatic once you start filming. The only exception is when filming in the Intelligent Auto mode, where the TZ40 / ZS30 can choose from one of four scenes: portrait, landscape, macro and low light. Like earlier models, stabilisation is always active, even if you’ve disabled it for still photos. On the upside the new five-axis optical stabilisation brings genuine benefits to the TZ40 / ZS30’s movie shooting as you’ll see in the clips below. Panasonic continues to offer the choice of two encoding formats, AVCHD or MP4, with Panasonic recommending the former for the best quality results or playback on HDTVs, and the latter for extensive editing or uploading. The AVCHD mode can record video in either 1080p at 28Mbit/s, or 1080i or 720p, both at a rate of 17Mbit/s. 1080p footage is recorded at 50p or 60p depending on region, while 1080i footage is recorded at 50i or 60i depending on region. 720p footage is recorded at 50p or 60p depending on region. You can choose to tag AVCHD movies with GPS location data, although it may cause incompatibilities with some devices. Using the best quality 1080p AVCHD mode, you’re looking at about 200Mbytes per minute of footage, considerably more than the 1080i and 720p AVCHD modes which consume closer to 120 Mbytes per minute of footage. The MP4 mode can record video in Full HD 1080p, 720p or standard definition VGA, at rates of 20, 10 and 4 Mbit/s respectively. All three modes are encoded using progressive video at 25p or 30p depending on region. Panasonic quotes both the AVCHD and MP4 modes as being restricted to clips with a maximum length of 29 minutes and 59 seconds. Finally, Panasonic recommends using an SD card rated at Class 4 or faster for recording movies. In the video above I made a handheld pan through 360 degrees under relatively dim conditions. The TZ40 / ZS30 selected a higher sensitivity under the lower light and has fought increased noise levels with heavier processing. This smears out some of the finest details compared to footage filmed in bright light, but the result here is still very respectable, and the image stabilization highly effective – I actually started walking a little towards the end of the clip. In the video above I positioned the TZ40 / ZS30 very close to the coffee cup and moved the camera up and down and around to see how quickly and confidently it refocused. The result is very good. Often contrast-based AF systems such as those used in point-and-shoot cameras can search a little back and forth before settling on the subject, but in this clip the TZ40 / ZS30 gets it right quickly almost every time. As soon as the focus point moves beyond the top of the cup, the camera quickly refocuses on the distant side of the room, then back to the cup, and again onto the bookcase and back again to the cup later. 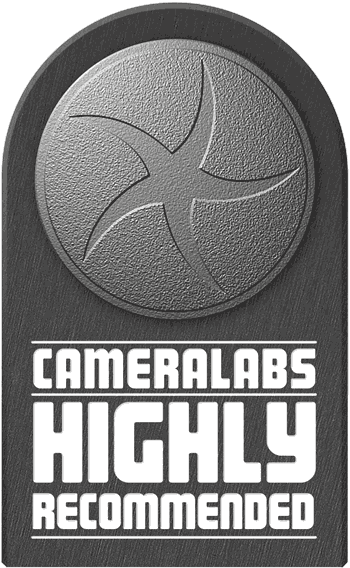 This is a good result and I’d be confident allowing the camera to continuously autofocus during video. In the next video above, I tested the continuous autofocus again but this time by keeping the camera still and moving the subject instead. I switched the camera to Intelligent Auto and used the subject tracking to lock-onto the logo on the front of the coffee cup. As I moved the coffee cup around the frame, the AF target followed it faithfully and once I paused for more than a split second, the AF system caught up with it. To be fair, this isn’t true continuous AF, as the camera only really refocused once the subject paused for a moment, but so long as you understand the limitations, you can film clips with effective refocusing as subjects move around. Like its predecessor, there’s another bonus for the TZ40 / ZS30: High Speed Video. On the earlier TZ30 / ZS20 this recorded QVGA (320×240) video at 220fps which was fun but too low resolution to be of serious use. Now Panasonic has upgraded it on the TZ40 / ZS30 with two options, filming at 200fps in VGA (640×480) or 100fps in 720p HD (1280×720). These clips are then played back at 25fps, thereby slowing down the action by eight or four times respectively. Like other slow motion modes, there’s no audio captured, and stabilisation is also disabled. I’m really pleased to find Panasonic upgrading the slow motion quality modes with two genuinely usable options. You can see an example clip below. For the video above I set the TZ40 / ZS30 to the 100fps High Speed Video option, mounted it to a tripod and zoomed the lens all the way into its maximum focal length. This allowed me to get a close-up on the insect on the leaf even though it was about 1m away. I cropped the clip at both ends in-camera. The footage is recorded in 720p and played-back at 25fps, thereby slowing the footage down by four times. In my final video clip, above, I set the camera to its High Speed Video Scene Preset once again, but this time went for the 200fps option which films in VGA 640×480 resolution – you’re actually seeing the clip played here full-size. The 200fps footage is then played back ay 25fps, thereby slowing the action down by eight times. I grabbed some footage of birds in-flight with the lens zoomed about halfway through the range. The slow motion works really well, but as noted earlier the image stabilization is not active in the High Speed Video modes, which means handheld footage like this will almost certainly suffer from camera shake at longer focal lengths. Of course camera shake slowed down by eight times looks like a slow shift from side to side and while it’s not obvious in this clip, it certainly can be in others. As such if you intend to shoot High Speed Video at longer focal lengths, I’d really recommend using a tripod. Either way, I’m really pleased to find the TZ40 / ZS30 offer much more usable slow motion video modes than its predecessor – it’s a nice upgrade. The Lumix TZ40 / ZS30 enjoys the same broad selection of continuous shooting modes as its predecessor, the fastest at the full resolution being 10fps, albeit now for just six frames rather than 15. The 10fps mode locks the focus, white balance and exposure with the first shot, but reduce the speed to 5fps (or 2fps if you prefer), and you can enjoy continuous autofocus with adjustable white balance and exposure, not to mention up to 100 pictures in a sequence. If however you feel the need for speed and 10fps isn’t quick enough, you can drop the resolution to 5 Megapixels and shoot at 40fps for around 30 frames, or down to 2.5 Megapixels for a 60fps burst. Understandably the focus, exposure and white balance are all locked in these modes. To put the various modes to the test I fitted the TZ40 / ZS30 with a freshly-formatted 16GB SanDisk Extreme Pro UHS-1 card and started timing various modes. With the camera set to 10fps mode, I fired-off six JPEGs in the 18M Fine setting in a fraction over half a second, corresponding to s slightly faster rate of 11.5fps. The six frame buffer confirms Panasonic’s specs, whereas last year I measured ten, not 15 frames in a 10fps burst from the TZ30 / ZS20. Reducing the speed to 5fps with AF, I managed a short burst at around 3fps, then sporadic bursts from them on, corresponding to an average of 2fps. This is similar to the performance I measured for the TZ30 / ZS20. Switching to the 40 and 60fps modes turns to a silent electronic shutter; the former delivered 26 frames in 0.65 seconds, corresponding to exactly 40fps; interestingly I could never get more than 30 shots in a burst using the 40fps mode on this year’s model. After each burst, the camera displayed the card-writing icon for up to ten seconds. During this time you could still fire-off more images, but in smaller bursts until the buffer was completely cleared. So in the 10, 40 and 60fps modes, the TZ40 / ZS30 delivered the quoted speed or slightly quicker, and it was only at 5fps that it performed slower than quoted. While the total number of frames sometimes fell below the quoted figures, I’m still very happy with this performance: the TZ40 / ZS30 offers a wide range of continuous shooting speeds to choose from, and there’s also still the two High Speed Video options in addition. These all add up to an impressive array of options at your disposal and I couldn’t wait to try them out in the field – or rather, at the Seaside to see if I could capture decent images of seagulls taking off. I tried each of the continuous shooting modes with the birds and this time found the 10fps and 40fps modes best for capturing very short bursts of very fast action. Here’s two sets of examples to illustrate the performance in practice. For short bursts, the 10, 40 and 60fps modes all filled their buffers in just one second, forcing you to wait until exactly the right moment before shooting, lest you miss some of the later action. You can see a sequence below at 40fps. Overall it’s a great performance from the new Lumix, although I should note the Canon SX240 HS / SX260 HS and the Sony HX20V / HX30V also offer 10fps speeds at their full resolutions for bursts of ten frames. Finally in terms of self-timer, the TZ40 / ZS30 offers the usual 2 or 10 second modes without any frills. Canon’s recent compacts out-gadget these facilities with customisable self-timer and face timer modes, the latter cleverly exploiting face detection to wait for a new person to enter the frame, smile or wink before starting the countdown. Panasonic has equipped the Lumix TZ40 / ZS30 with a new 18 Megapixel sensor – that’s four Megapixels more than its predecessor even though both share the same tiny 1/2.33in sensor size. Since noise is always an issue on sensors this small, I’m disappointed Panasonic is playing a numbers game just for marketing purposes. Last year Sony trumped its rivals in resolution by equipping the HX20V / HX30V with 18 Megapixels and clearly Panasonic feels it may have lost sales as a result, so this year it’s matching the resolution. Thankfully Sony hasn’t pushed this any further, so its WX300 also shares the same resolution for this year. But neither company has the confidence of Canon which has bravely stuck with 12 Megapixels on the PowerShot SX270HS / SX280HS, touting lower noise over total Megapixels. Has Panasonic pushed it too far? You can find out in my quality results pages which I’ll update when I’ve had a chance to compare it against its rivals from Canon and Sony. Just before the results though, here’s a few brief specifications for you. The TZ40 /ZS30’s sensor delivers 4:3 shaped images with a maximum of 4896×3672 pixels – that’s about 500 pixels more in each direction than the 14 Megapixel TZ30 / ZS20 which came before it, and enough to make photo quality (300dpi) prints at 16.3×12.2in, or about an inch and a half bigger than before. Since most people rarely print above 10x8in, you’ve got more than enough resolution with the TZ40 / ZS30 to make a great-looking print and even crop-in a little without losing quality, at least at low sensitivities anyway. As before, there’s a wealth of alternative image resolutions and sizes. You can shoot in the full 18 Megapixels, or at 12, 8, 5, 3 or 0.3 Megapixels in the 4:3 aspect ratio, or switch to 3:2, 16:9 or 1:1 cropped shapes instead, each with reduced resolutions. There’s also the choice of two JPEG compression levels, Fine or Standard, although as expected, no RAW option. I always take my shots in the best quality mode, which on the TZ40 / ZS30 was with it set to 18 Megapixels / 4:3 / Fine compression, and most of the files worked out around 7Mb in size. Panasonic includes 12MB of internal memory to get you started. I believe the TZ40 / ZS30 actually starts with more memory, but much of it becomes consumed by the internal landmark database for the GPS system. The optional, more memory-hungry maps are however loaded onto the SD card via the supplied DVD. Once again the camera is compatible with SD, SDHC and the latest SDXC cards, although for a smooth HD movie recording experience go for at least Class 4 (for AVCHD files). Again there’s no mention of exploiting the speed of UHS-1 cards. A new sensor means a new sensitivity range, with Panasonic feeling sufficiently confident to offer 100-6400 ISO at the full resolution compared to a maximum of 3200 ISO on the older TZ30 / ZS20. The High Sensitivity scene preset remains present though, working automatically as before between 1600 and 6400 ISO depending on conditions – albeit at a greatly reduced resolution of 3 Megapixels (in 4:3 mode). To see how the quality of the measures-up in practice, take a look at my TZ40 / ZS30 quality and TZ40 / ZS30 noise results pages, browse my TZ40 / ZS30 sample images, or skip to the chase and head straight for my verdict.